Blog – Page 2 – Metro Hydraulic Jack Co.
Did You Know We Repair And Sell Lubrication Systems Too? We’re a third-generation family business at Metro Hydraulic Jack Co., and we’re well known in many industries for repairing and distributing hydraulic equipment since the 1940’s. We are also one of the leading sales & service centers in the United States. But, did you know we design, repair and sell lubrication systems too? Containment Solutions, and other manufacturers. To keep things running smoothly in their businesses, shops across the U.S. work with our NJ-based facility. In addition to repair and installation, other services we provide in the lubrication equipment realm include product specification and sales (helping customers answer questions like “What’s the best dispensing valve for our garage?” or “What type of lubrication pump do we need?”), and we also offer garage design and layout services. Learn more about Metro Hydraulic’s lubrication equipment and services by visiting our website or call us at (800) 633-8234. We can help you keep your business running smoothly with the lubrication systems we offer! Posted in UncategorizedTagged hydraulic, inventory systems, lubrication systems, manufacturing, pumps, valvesLeave a Comment on Did You Know We Repair And Sell Lubrication Systems Too? Hydraulic cylinders are used for several applications and can be found in practically anything that needs to be raised, lowered, lifted, bent, or pressed. That includes construction equipment, hydraulic presses, automotive lifts, and automotive and materials handling equipment. When using hydraulic cylinders on a consistent basis, we know that equipment failures happen. That’s why Metro Hydraulic is here to help when something goes wrong. With everyday hydraulic cylinder use – it’s possible that seals can become worn, rods can bend, and internal cylinder bore diameters can become scored. At Metro, we have complete honing and machining capabilities. So we’re prepared to make repairs quickly and accurately to get you back up and running as soon as possible. We repair a variety of cylinder shapes, sizes, and types including construction hydraulic cylinders, NFPA hydraulic cylinders, and Enerpac type hydraulic cylinders. We can fix sizes ranging from 20 inch bore diameters and up, to 15 ft. of stroke. We also stock metric and American chrome rods. Our cylinder repair capabilities are very extensive. So we’re able to repair internal pistons, rods, tubes, and even machine different cylinder mounts. Are you using hydraulic cylinders in the construction, automotive, industrial production and maintenance, transportation, and material handling industries, and seeking repairs? Come see Metro Hydraulic today! Our turn-around times on repairs range from same-day, to up to one week (depending on cylinder condition and part availability.) We are experts, Stock components, & have the necessary machinery, so there are no limitations on what we can do! When Hurricane Sandy hit, we were there to help. Track and jacking tools used for trains and the repair of engines, cars, and trucks. 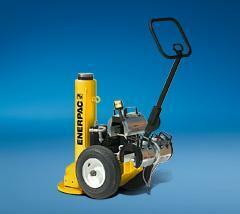 Metro Hydraulic can turn around repairs in as little as two weeks. If you have rush repair we can prioritize it and get it done even sooner. Our goal is to work with you to understand your needs, and deliver! Please take a look at the repairs page on our website, and see what we can do in more detail. For more information on how we can help your organization with repairs, please call us at 800-633-8234. Posted in UncategorizedLeave a Comment on When Hurricane Sandy hit, we were there to help. 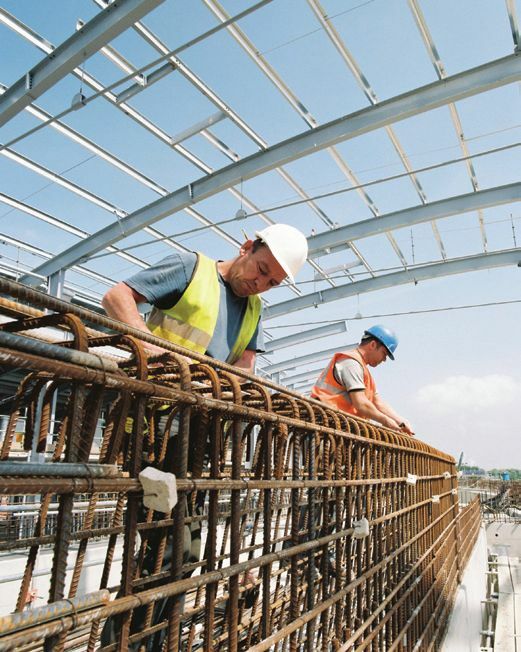 In the construction market, millions of projects are completed each day. At Metro Hydraulic, we are experts in repairing a complete range of construction specialty tools including hydraulic cylinders, pumps, valves, and motors. We specialize in the sales and repair equipment that’s utilized in major bridges in the surrounding NYC metro area, and across the United States. We’re experts at designing and selling hydraulic lifting and jacking systems, and have been distributing for manufacturers like Enerpac, Simplex, and PowerTeam for decades. Our engineered lifting system and jacking system designs have been used for major bridges and structures in and around New York City, including the Brooklyn, Manhattan, and Williamsburg bridges. When it comes to building maintenance and repair, iron workers are using hydraulic cylinders, torque wrenches and consistently lifting heavy loads. To ensure work is completed proficiently, we offer synchronous lifting systems so that lifting is completed proficiently. If a bearing needs to be replaced, it is important that the bridge is lifted very carefully and evenly to avoid any structural damage. In addition to hydraulic jacks and lifting systems, we also sell cylinders to tension the cables on bridges. Cables support the bridge deck, and are an important component in order to keep the bridge functioning properly. When it comes to your unique construction project, we’ll provide you with a consultation and provide the best products needed to get the job done right. Collectively, our employees have more than 70 years of experience, and deliver quick turnaround time for repairs. We distribute multiple lines of the same product so if an item is needed quickly, we’ll have the equipment you need, when you need it. If the structure can be lifted, the experts at Metro hydraulic can assist you. For more information on lifting and jacking system design or any hydraulic equipment, please visit www.metrohydraulic.com or call us (800) 633-8234. Metro Hydraulic has a long history of family owned and operated quality sales & service. It all began during World War II, when our founders, brothers Murray and Harry Storch repaired jacks for the Brooklyn Navy Yard. They soon went into business together, repairing automotive jacks. They decided to expand and opened a shop in Newark, NJ doing automotive equipment repair and sales. Being a family run business we still continue this history of personal service to this day. All repairs are done in-house, and we are as committed to quality as we were all those years ago. However, we’ve evolved significantly. Besides jacks, we now sell and install lubrication systems and hydraulic lifts for automotive customers. We are leaders in the construction and industrial markets, repairing, servicing, and selling hydraulic and pneumatic production tools, providing hydraulics for countless clients in the plant maintenance industry. For our construction clients, we work on hydraulics (hydraulic cylinder repair, pump and valve repair) for earth moving equipment & tractors. We also fabricate hoses while you wait. One of our major specialties is the design of jacking systems, and we are a major supplier for the bridge and infrastructure markets. Our products and services are crucial to the repair of many major New York City bridges and tunnels. But that’s not all. We repair and sell hydraulic tools for utilities, transportation, repair of aircraft ground support equipment, provide lifts for train and buses, do materials handling equipment, and more. In the past, we were responsible for designing a hydraulic lifting system used for lowering a section of the NJ Turnpike. In short, customers in so many industries have been relying on us for their complex jobs, and have come to find that the quality we provide is second to none. The vision and passion of the Storch brothers continues today, and we are proud to continue their tradition. Please visit our website at http://www.metrohydraulic.com/index.html, and feel free to contact us with any questions.